Original Release: 1992. 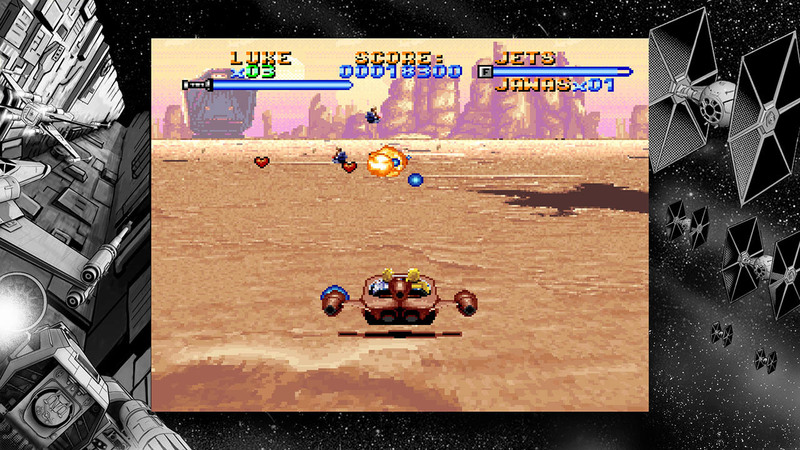 Platform: SNES, Wii Virtual Console, PS4, PS Vita. 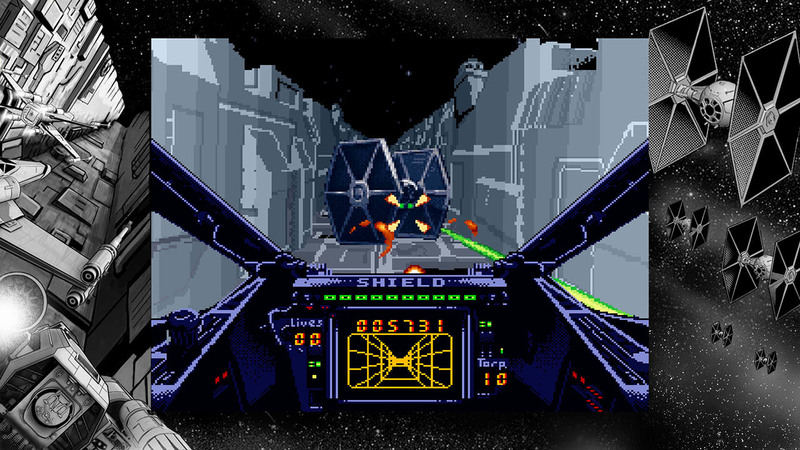 Developer: Lucasarts, Sculpted Software. Available on Wii Shop Channel, PSN. 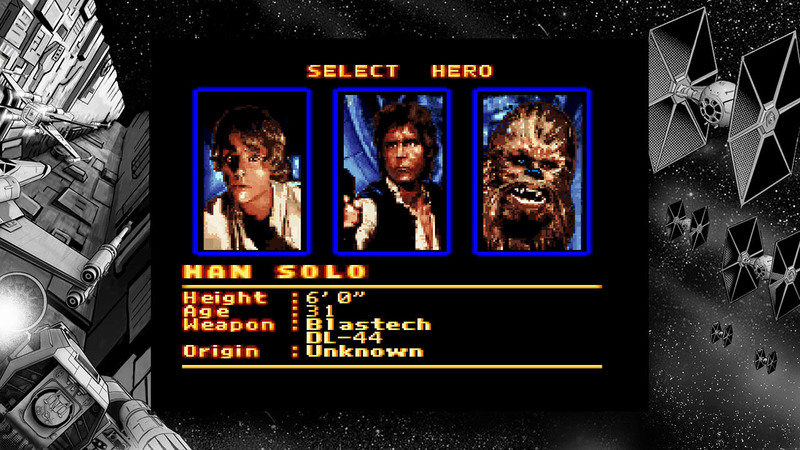 A long time ago, on a console far far away, there was a game called Super Star Wars. 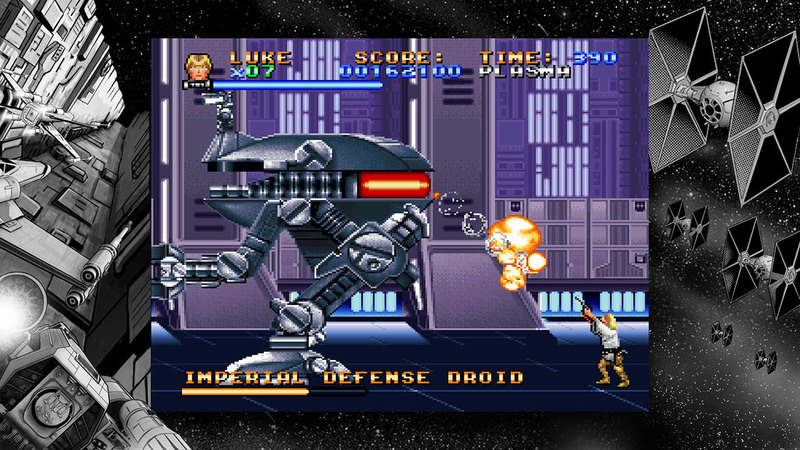 Before Battlefront, Knights of the Old Republic, or even Shadows of the Empire, this game captivated fans with its side-scrolling levels, run-and-gun gameplay, and impressive 16-bit lightsabers. It was arguably the best movie-to-video game adaptation until Goldeneye 007 arrived five years later, and I have many fond memories of playing its levels on the humble SNES. Thankfully, Sony's re-release lets you optionally save the game where you'd like, instead of relying on limited lives and the built-in checkpoint system. 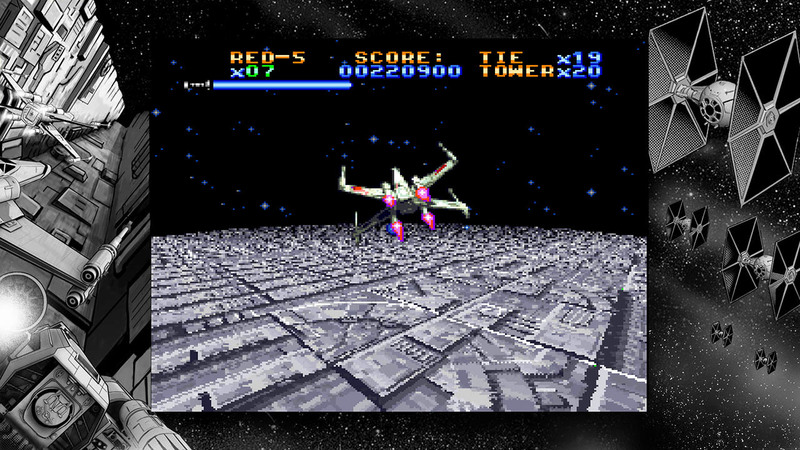 This means Super Star Wars is... well, it's still crazy difficult. 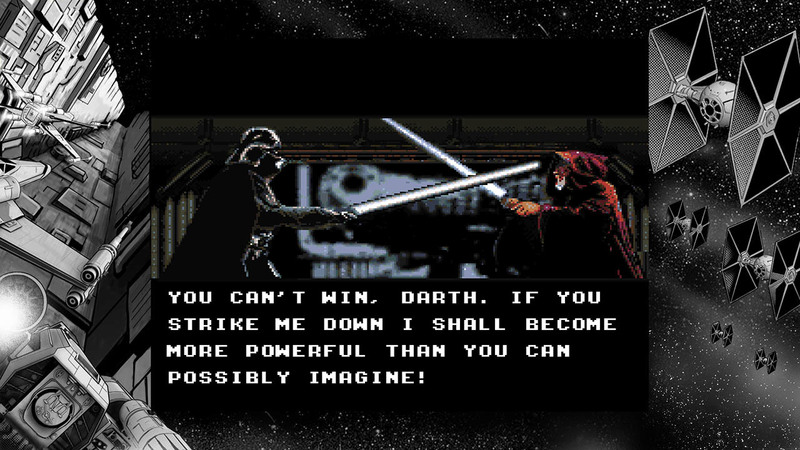 But the chances of newcomers reaching and destroying the Death Star are vastly improved, and it lets you enjoy the fantastic touches Lucasarts included along the way. 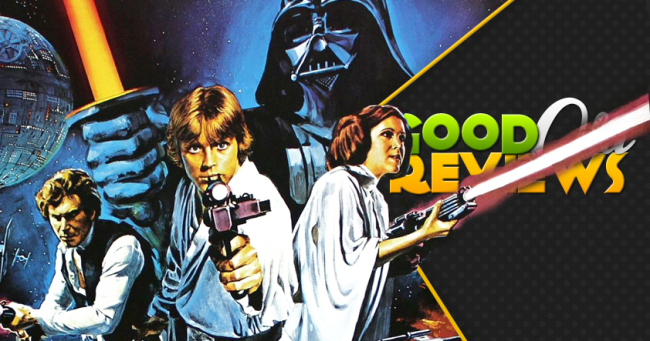 Super Star Wars follows a condensed version of the original Star Wars movie plot. R2-D2 and C-3P0 escape to Tatooine, Luke Skywalker finds them, Han Solo and Chewbacca help everyone escape the planet, and so on until the Death Star explodes. We all know the story. 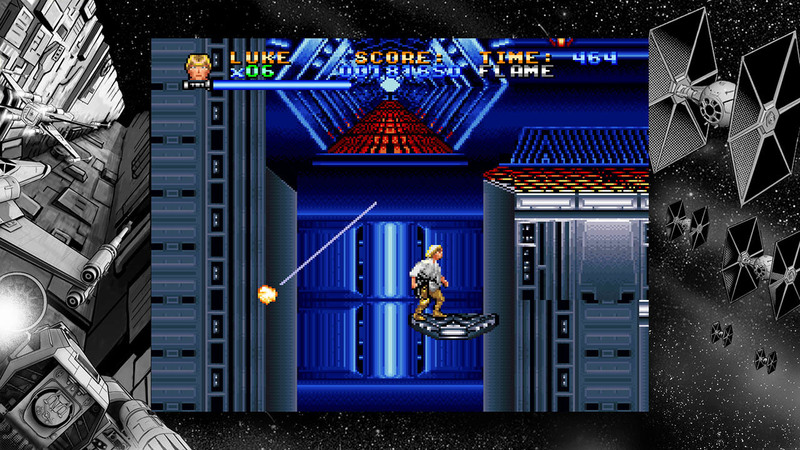 The thing is, Super Star Wars is also a 90s era action-platformer, which means it's somehow more action-packed than the films. 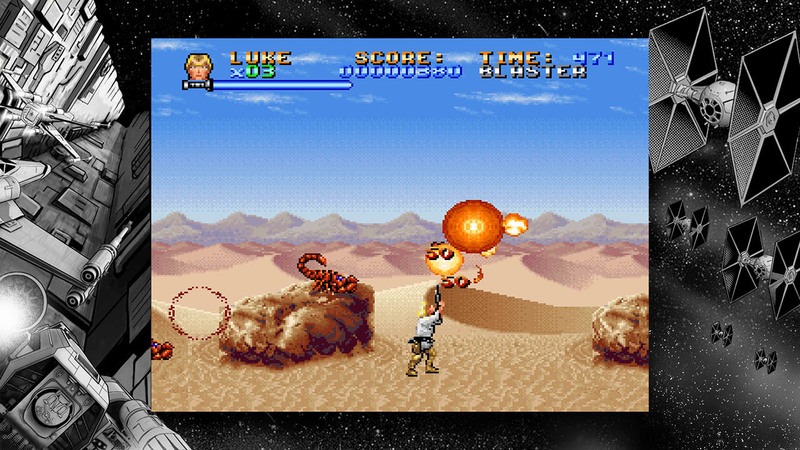 Your first mission involves Luke shooting his way through all of Tatooine's wildlife on the way to killing a Sarlaac. A freaking Sarlaac. And it only gets more intense from there. Eventually, Luke learns R2-D2 was abducted by Jawas. Does he buy the droid back like a reasonable moisture farmer? Sith, please: Luke drives into the desert and kills 12 Jawas. Then he leads a one-man assault on the Sandcrawler, destroying its vast array of weaponry and everyone inside. (Now you know who really killed those Jawas in A New Hope.) 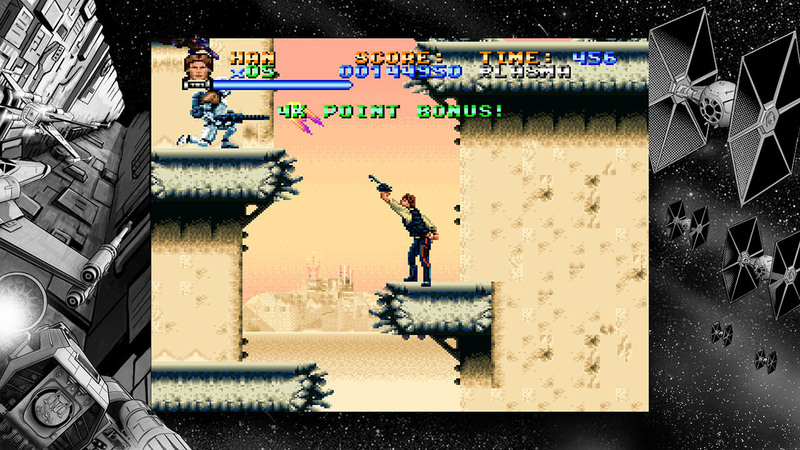 Then Luke leaves to find Obi-Wan, murdering more Sandpeople along the way than his father ever did. Then they reach Mos Eisley and massacre a garrison of Stormtroopers before entering the Cantina. Once inside, practically every mercenary jumps up from their tables to attack you, making it a more violent place than anything we saw in the movie. I'm surprised Luke didn't just blow the Death Star up from the inside-out while rescuing Princess Leia. This may sound like Super Star Wars' protagonists are unstoppable warriors, that's not entirely accurate - these heroes are far more fragile than it seems. You'll die a lot before anyone holds a Death Star Destruction Ceremony in your honor. Seconds after the game begins, you're dodging Tatooine scorpions who fling themselves in your direction. Jawas, Sandpeople, or Stormtroopers can swarm you at any moment. Large robotic traps fill the Sandcrawler and Mos Eisley hangar. And to make it worse, just about every enemy respawns the moment their spawn point is off-screen. So if you backtrack through an area you cleared - or fall from a platforming section and need to climb back up - you'll probably have to fight the same enemies over again.